We re-watched this for a podcast a few years back and the consensus was that it was way better than any of us remembered. One of my favorites. 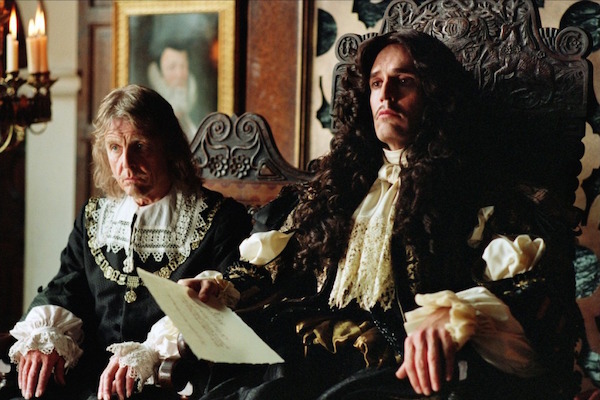 I wrote at length about it already, so go click on the link if you want to read the whole deal, but I’ll just say here that Rupert Everett should always and forever play Charles II. 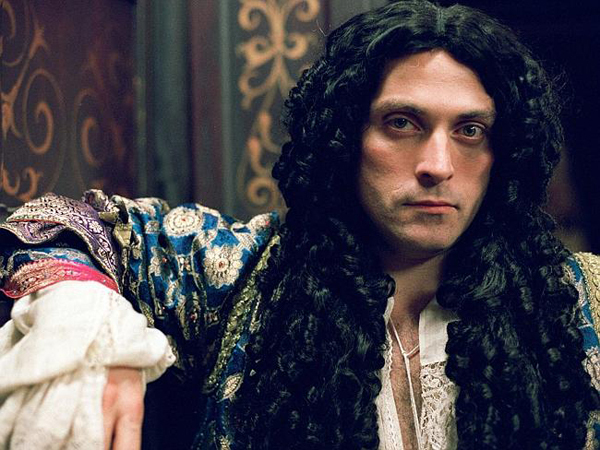 We’ve mentioned this series a handful of times on the site in various posts on things like full bottomed wigs, a guide to movie portrayals of Nell Gwyn, and two Man Candy Mondays featuring Rufus Sewell and Rupert Graves, a post celebrating Helen McCrory, and now this one. And yet, so far we’ve managed to avoid doing an entire post dedicated to the film itself. Bad Frock Flicks! No cocktail! The gold standard, the adaptation of Alexandre Dumas’ famous novel to which all modern film adaptations are invariably compared, the only version you ever need to watch (all others are merely optional, but this one is mandatory). Yes, Raquel Welch sticks out like a sore thumb, but even she has kind of a weird charm. And then she dies in the second movie so problem solved. Do you want to see Sarah evaporate into a wet spot? Put on Le Roi Danse and flip to any scene with Benoît Magimel in it. HE IS SO DREAMY I CANNOT EVEN. 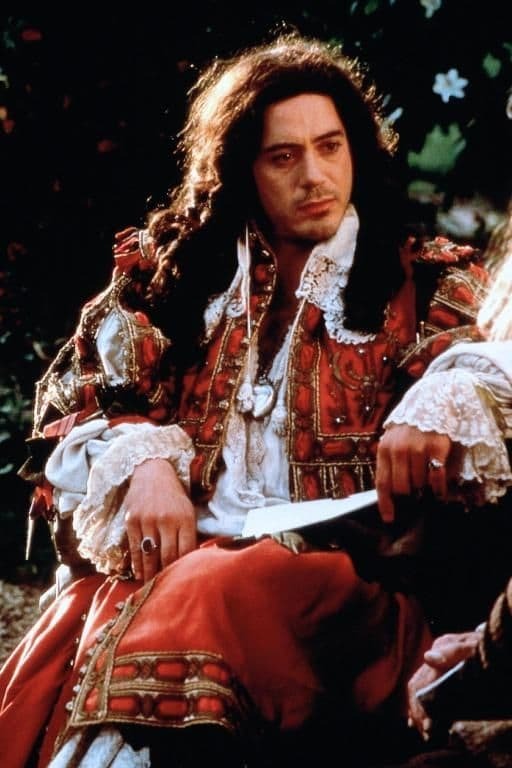 What are your favorite movies and TV series set in the seventeenth century? Sarah discovered her dual passion for history and costume right around the age of twelve. Dragged kicking and screaming to her first Renaissance Faire at Black Point, she was convinced she was going to hate it, but to her surprise, she fell head over heels in love with the world of reenactment and dress up immediately. Her undergraduate degree is in Clothing & Textile Design, and she has a Master's in Art History and Visual Culture. When she’s not hauling crap to SCA events and ren faires, Sarah enjoys reading true crime books, writing fiction, and sewing historical clothing from the Middle Ages through the 20th-century. One of these days, she might even start updating her old costuming blog again. 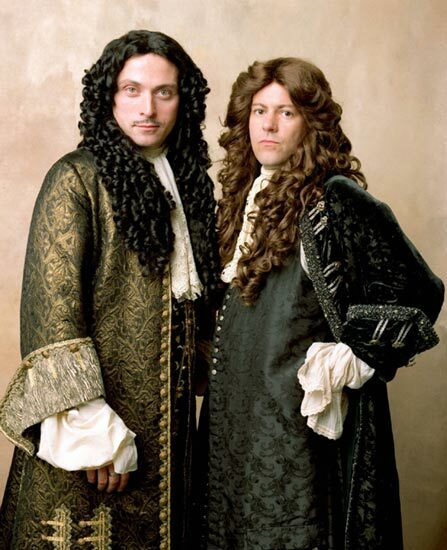 The Ruperts as Charles II, and from what has been shown on YouTube Le Roi Danse as I still need to find a Region 1 DVD. 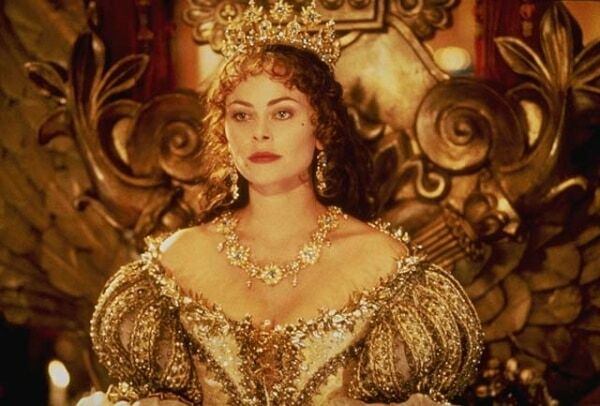 Helen McCrory is the perfect Barbara Castlemaine. My absolute fav is “Molière” by Ariane Mnouchkine. Dunno if anybody saw that outside France, but it was one of my earlier movie shocks…Fabulous! Le roi danse is of course fab, too. Another one of my favs is “L’Allée du roi” a two part tv series about the rise of Madame de Maintenon. 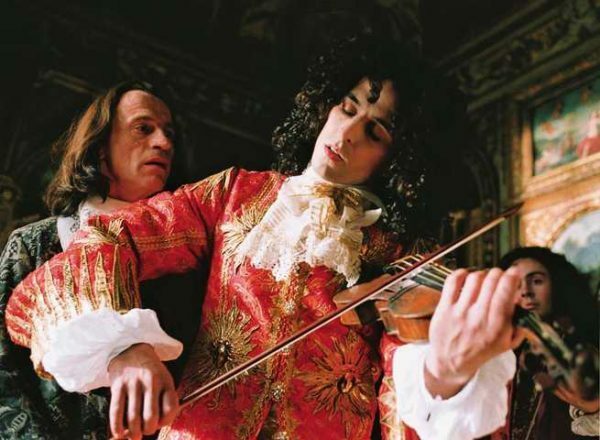 Mnouchkine’s “Moliere” is pretty much the best movie that belongs on this list. I try to think of a better one set in the 17th Century but even something like Malick’s “New World” (if you are into Malick’s “nature is divine” shtick) falls very much short. It hits so different notes while staying cohesive, it’s very impressive. The Draughtsman’s Contract, yes. Saw it only once, in the theater when it was new, but such an experience. 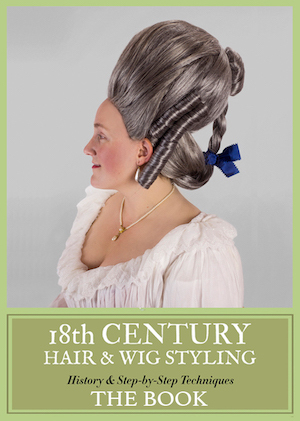 I especially remember what fabulous late-century wigs the men wore. The Wicked Lady starring Miss Dorothy Faye and the movie is horrible but fun to watch. John Bloomfield is like a kid in a candy store with his costume design. 3m-4M (and even Return, although it wasn’t as good as the first two) Draughtsman’s Contract, and Restoration. And certainly Moliere. It’s old school BBC cheap in places, but the performances are top notch, and the wigs ain’t bad either. My favorite costume is a gown Sarah Churchill has remade several times, including into a mantua. I loved the First Churchills. The acting was first rate. It was my first peak (I’m sort of dating myself) at Restoration England – people, clothes, history – and now I devour books, movies TV shows on it. Susan Hampshire won an Emmy for Sarah. That and Forsyte Saga were her first period frock flicks. And she’d be a great choice for a retrospective (That’s a hint Sarah, Trystan, Kendra). I just found The first Churchills on Youtube so know what I will be watching next week.I would second the Susan Hampshire suggestion especially for Glencora Palliser. She was also in the Barchester series and played the role of Rebecca in an early version of Vanity Fair. But veering dangerously off topic now. I love Pallisers. Great stories, great acting, beautiful bustle gowns, and Madame Max. I still want to be Madame Max when I grow up. The First Churchills was a life-changing series for me. I was a young teen and loved American history – this was my introduction to English history and I fell in love. A special word of love for John Standing as Sidney Godolphin – just a lovely performance! Standing has such a gentle humor in that role. Even with the crazy eyebrows he gets in the later episodes. And as far as John Neville as John Churchill, he can have me twice with his boots on. I have to add a lovely spanish movie called “El Rey Pasmado” (aka “The Dumbfounded King”), which is based on an also quite lovely novel by Gonzalo Torrente Ballester, whose plot is basically that King Phillip IV spends the night with a prostitute and when he sees her naked, he decides that he wants to see the Queen naked too. But of course, according to the Church that is impossible because husband and wife cannot see each other naked, as it would be a sin. Conspiracies and all that abound between the people that want to help the King and the people that oppose that wish. 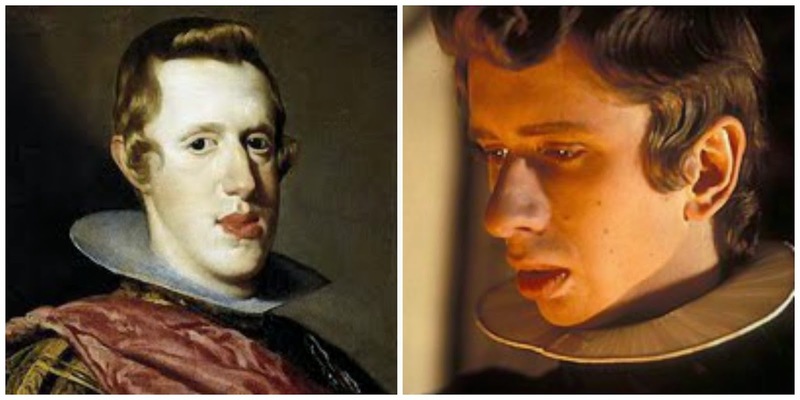 There’s also a side plot in which the Count-Duke of Olivares (Phillip IV’s prime minister) and his wife are unable to conceive a child (because according to his confessor they enjoy doing the do too much) and all the things they go through to try. And of a friar that has visits of a “something” that he thinks is God. The costumes are designed by Javier Artiñano (Who was behind the costumes of El Escorial Conspiracy) so IMHO the quality is really good. 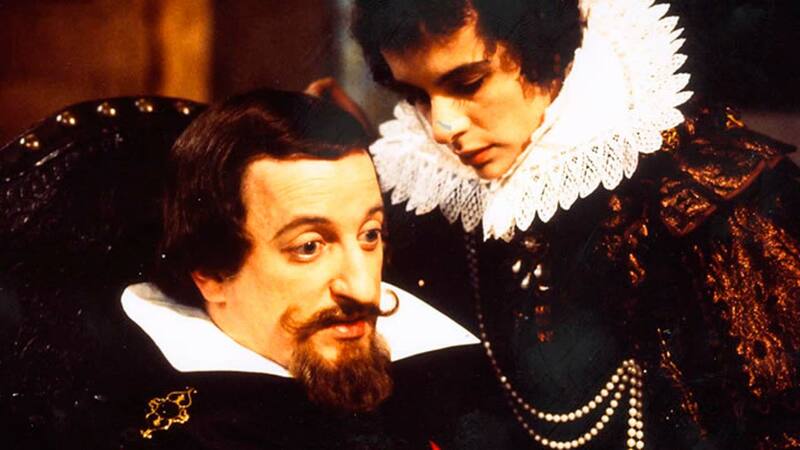 Which Cyrano? Ferrer or Depardieu? Love, love, love the 3/4 Musketeers for so many reasons. Not a movie, but a television series: By the Sword Divided. Yes, Raquel Welch sticks out like a sore thumb, but even she has kind of a weird charm. And then she dies in the second movie so problem solved. Isn’t that a bit cruel? Geez . . . what crime did Raquel Welch commit? Not cruel enough, Lady L. She had her own costumes made by her boyfriend and her hair done privately, which completely detracted from the quality of the film. My only quibbles with 3M/4M have to do with the firearms. Milady is carrying a 19th century “Lincoln” deringer in her muff when she could have been carrying an historically accurate wheellock pistol which wpuld have been even smaller. There are several in the Phila. Art Museum collection. The other gaffe was when Athos cranked the wheel on his pistol several times: the chain in the lock is very short and need only a quarter turn for a full “span” (which requires a separate key-shaped tool — and which is why the British refer to a wrench as a “spanner.”) And the damned things were often lost in the heat of battle, which is why they were often tied on to the user.